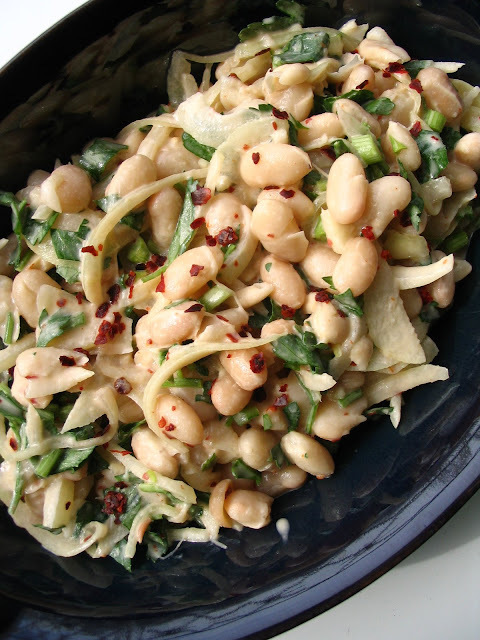 Piyaz is what we call bean salads in Turkey, but the term is actually Persian and means "onion." Piyaz is usually prepared with northern beans and kneaded onion; dressed with olive oil and vinegar; spiced up with pepper flakes; and decorated with tomatoes, parsley, and hard-boiled eggs. Depending on the region, piyaz might have green onions or sumac. However, in Antalya, a beautiful city with magnificent beaches and historical places on the Mediterranean coast, piyaz is made differently than the rest of Turkey. The difference is tahini and garlic, which, to my surprise since I'm not a great tahini fan, enriches the taste incredibly. In Tekirdag, my hometown, piyaz is served always with Tekirdag Meatballs. However, with tahini it can be a main dish as well. -Soak the beans over night. Bring them to a boil and then on medium heat cook them until soft. Or use canned beans. -In a bowl mix tahini, vinegar, lemon juice, and garlic for the sauce/dressing. It shouldn't be too runny or thick. Since different tahini brands have different density, it's hard to find the perfect mixture. If the dressing you make with the measures above is thick, add some of the water that you used to cook the beans or use the juice in the can. If it's runny than you can thicken it with more tahini. 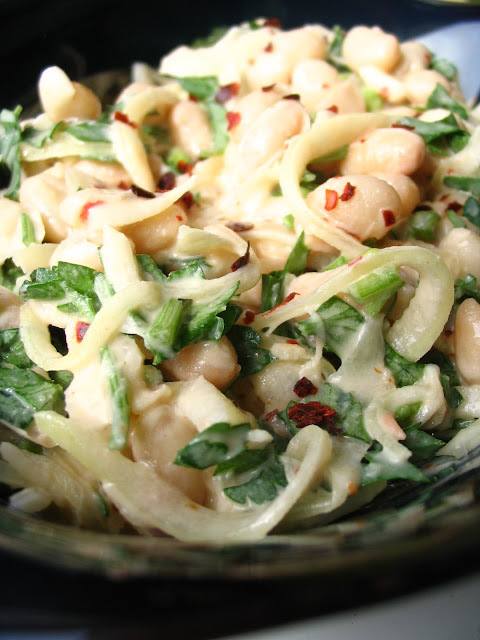 -Pour the tahini dressing over the beans and mix them well. -Slice the onion thinly julienne style in half moon shape. In a bowl knead it with 1 tsp salt. Rinse. -Mix the beans with onion and parsley. -Decorate the bean salad with tomatoes and slices of hard-boiled eggs. 0 Response to "Antalya Bean Salad (Antalya Usulü Piyaz)"